Costs of community services (COCS) is a term used to describe the relationship between local government taxation of, and community expenditures for, a variety of different land usages. There is a growing body of COCS literature that summarizes fiscal impact studies and determines whether various forms of land use either contribute to, or detract from, local government budgets. Conventionally, COCS studies divide land use into three categories: residential, commercial/industrial, and farmland/open space. It is common practice to calculate a COCS ratio for each land use category by comparing how many dollars worth of local government services are demanded per dollar of revenue collected. A ratio greater than 1.0 suggests that for every dollar of revenue collected, more than one dollar is spent. A ratio of less than 1 indicates that for every dollar of revenue collected, a fraction of a dollar is spent. 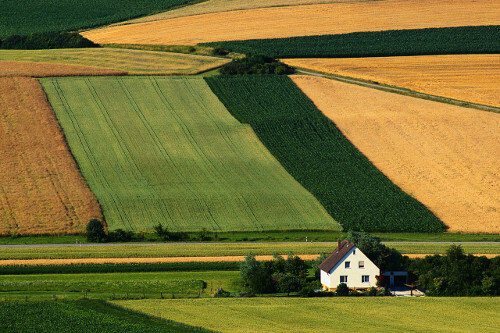 Early COCS studies were done by the American Farmland Trust. However in recent years, a great number of COCS studies have been conducted by a variety of independent researchers. The results seem to corroborate each other. Virtually all of the studies show that for residential land, the COCS ratio is substantially above 1. That is, residential development and land use have a negative impact on local government budgets. In other words, the cost of added community services is greater than the increased revenues generated. On average, COCS ratios for residential land range between 1.15 and 1.50. This means that for every dollar collected in taxes and non-tax revenue, between $1.15 and $1.50 is spent by local government on community services. On the other hand, COCS ratios for the other two land use categories are substantially below 1. For commercial or industrial, COCS ratios range from 0.35 to 0.65 and for farmland/open space, the ratios range from 0.30 to 0.50. Clearly, these land use categories add to local government budgets in a positive economic way. These COCS ratios should not be surprising given that the largest single expenditure category for communities, according to the studies, is the public school system which accounts for 60 to 70 percent of government spending. It stands to reason that residential categories will demand greater spending than will commercial development or agricultural categories. One might ask, are these studies reliable? And why do the numbers vary? The studies do appear to be reliable based on the way in which taxes and service expenditures are calculated and imputed. Methods are laid out clearly. And variations in COCS ratios, although slight, are unanimous in showing that residential land use ratios are above 1 whereas the other land use categories fall below 1. The primary reason for any ratio variation within a land use category is due to the individual character of each community. For example, a high-priced community of empty nesters would have a lower COCS ratio than a middle-income neighborhood occupied by families with numerous children. Some communities have gone beyond simply calculating a COCS ratio and have calculated the “break-even” home value for their community. These values tend to be substantially higher than the average home value. Other researchers have attempted to measure the costs of growth by statistically measuring the relationship between population growth rates and per capita local government spending. Most of these results have shown that for very small growth rates (1 % to 2% per year), costs do not escalate rapidly. For communities with higher growth rates (greater than 3% per year), per capita spending begins to increase very dramatically. Regardless of methodology, costs of services studies are in agreement — as farmland and open space are converted to residential development, local public per capita spending increases. Initially, critics argued that it may be difficult to generalize from these studies. However, this criticism lost some credibility when so many different studies across a wide range of communities produced similar results. More recently, critics have developed the argument that the scope of COCS ratios is too limited, and that new residents do much more than simply pay taxes and demand services. Residents work, earn money, and spend much of it locally thereby making a substantial contribution to the community’s economic base which is not captured in the COCS studies. Critics argue that future studies should include such financial impacts. If COCS studies are to include these “multiplier” effects, it can also be said that they should include non-economic costs such as: loss of scenic landscape, increased traffic congestion, and other variables associated with quality of life. A final argument against COCS studies is that they are based on a “cost theory of taxation” and do not consider how growth (even with increased taxation) increases the values of properties. The rival “benefit theory of taxation” states that as new taxes pay for better infrastructure such as schools and roads, property values increase. Considerations such as this have not been measured within the context of COCS. One of the most important implications of COCS literature is that proponents of farmland and open space preservation now have an important economic argument in their favor. Some proponents of economic development will argue that a system allowing land to go to the highest bidder provides the most efficient economic results. However, COCS findings indicate that residential development results in added cost to the community that is not fully borne by the new residents. Instead, added costs are distributed throughout the community. Local leaders should be aware that by promoting growth in their communities, they will also be affecting revenues and expenses. All impacts should be estimated when planning for the future. When reflecting on the COCS issue, two major points stand out. The first is that residential development in any area invariably leads to increased per capita demand for publicly provided services. This places increased burdens on local infrastructure and public agencies which then raise local tax rates to provide such additional services. Increased taxation always follows growth. The second point is that members of each community need to be cognizant of a much broader issue – managing growth in the community includes all the negative and positive impacts that it brings.